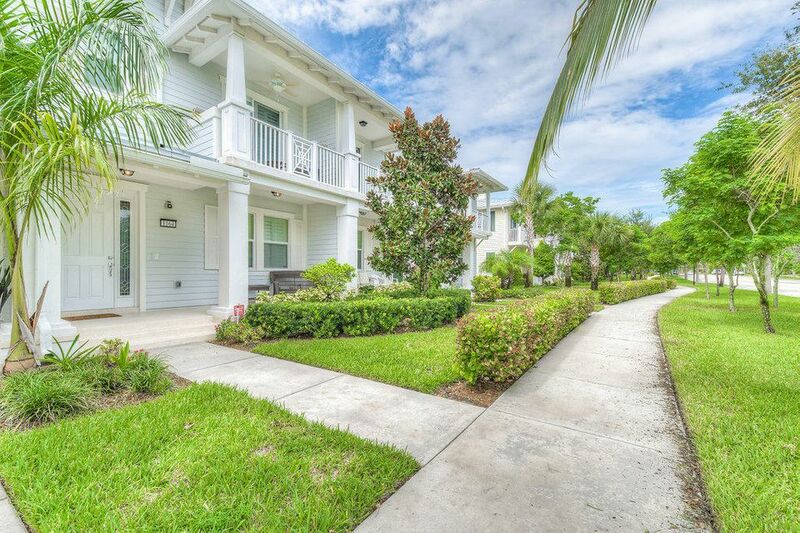 Upgraded townhome with granite counters, ss appliances, impact windows, plantation shutters, tile flooring throughout main traffic areas, and freshly painted. Generous outdoor spaces with two covered balconies and a front porch. Enjoy the low maintenance and carefree lifestyle of Mallory Creek in Jupiter's Abacoa. The community is centrally located close to highways, restaurants, shopping, and the world class Jupiter & Juno Beaches.